The Order SE from Gerber features a semi serrated edge that will make light work of even the toughest materials. The rubber diamond handle is designed to maximise grip and give great control over the knife. 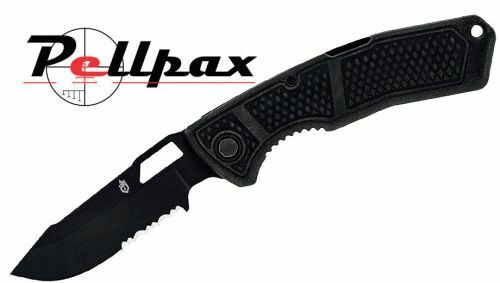 This, when combined with the knifes lock back system make the Order both incredibly easy and incredibly safe to use. The blade itself is made from high carbon stainless steel which means excellent tensile strength as well as immunity form rust and corrosion.